It’s beyond doubt that Asia’s automobile industry has been developing at a rapid pace in recent years. From 2009 to 2016, China alone was the world's largest car manufacturer and benefitted greatly from having the biggest sales market. As a result, the country rose to become the world’s top producer and exporter of tyres, with production volume climbing to 947 million units in 2016. Not only that, but the global tyre demand is still rising, with the market projected to reach 2.5 billion units by 2022. Tyres are also one of the key components in the automotive sector, and are indispensable throughout the entire automotive value chain. With tyres and their many associated products playing such an invaluable role in the continued growth of the automotive industry both domestically and globally, visitors to this year’s edition of Automechanika Shanghai can expect to find the most comprehensive range of products, innovations and news to cover the entire spectrum of the tyre sector. The fair will take place from 29 November – 2 December at the National Exhibition and Convention Centre, Shanghai, where over 130,000 visitors will meet with an estimated 6,000 exhibitors. For the first time this year, Automechanika will welcome the brand new REIFEN Zone – a co-located area dedicated to tyres, wheels and rims, as well as for the repair, management, sales and storage of tyres. As the world’s leading fair for the tyre industry, REIFEN has been a consistent meeting place since its first ever edition back in 1960 in Germany. 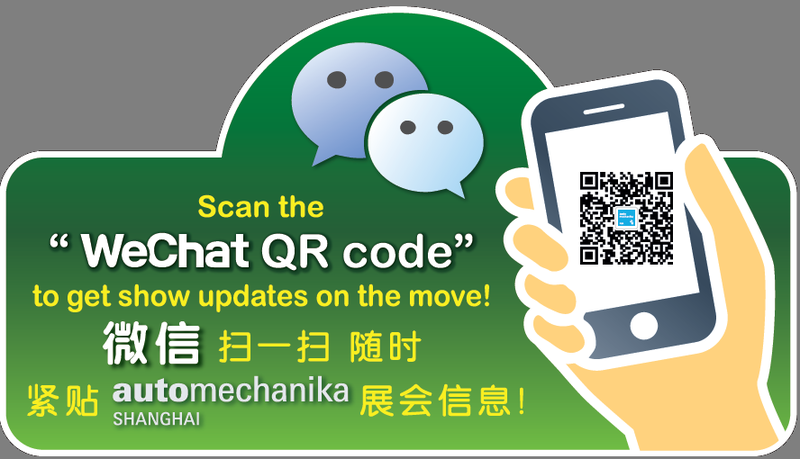 The addition of the REIFEN Zone to Automechanika Shanghai not only represents the tightening relationship between the tyre and aftermarket service segments, but also perfectly complements the existing spectrum of products available at the fair. The move will also help create new opportunities to the fair’s participants, exhibitors and visitors. Tyre dealers have the opportunity to offer even more automotive services, and car dealers and workshops looking to expand on their range of tyre partners. It also a place for visitors to explore the latest research, developments and innovations from all across the global tyre industry. At the zone, global and domestic prestigious tyre makers will showcase their latest products, designs and materials. This includes Linglong, one of the top 20 global tyre manufacturers who will introduce its newly developed tyres made using dandelion rubber and graphene. Also featuring is Chinese company Fangxing Rubber, who will feature various kinds of truck and bus radial tyres, passenger car radial tyres and off-road tyres at its booth. The entirety of Automechanika’s 340,000 sqm show will also be sprinkled with the very latest tyre-related products and services from the entire supply chain. Reflected throughout show halls, the likes of wheel balancers and aligners, tyre changers, tyre inflators and a range of tyre repair tools can be found in the fair’s Repair & Maintenance sector, while wheels and rims, tyre difficulty relief devices, emergency tyre safety devices and repair kits and tyre cleaners can be found at the Accessories & Customising sector. The likes of tyre pressure monitoring solutions, wheel bearings and hubs, and tyre bolts can be found at the fair’s Parts and Components sector. For instance, exhibiting company Yingkou Dali Automobile Maintenance Equipment, a Chinese manufacturer of tyre changers, will demonstrate its ‘G-900 Pneumatic Swing Arm Centre Locking System’ with its newest BQC automatic demounting head. Elsewhere, Russia-based Techno Vector will display its 3D four-wheel aligner with its ‘Wide Angle’ technology, which is said to allow for a complete range of working heights of the lift. Tyreplus, Michelin’s Asian car maintenance service branch, will demonstrate a comprehensive range of replacement services using Michelin products during the fair. Meanwhile, Continental Automotive will show its advanced tyre pressure monitoring solutions. The company says that by integrating these functions with the chassis network, the dynamic control of driving is significantly improved. US-based ITW Performance Polymer will demonstrate its ‘Slime Safety Spair’ tyre repair and inflation kit, which enables tyre inflation and repair times of four and seven minutes, respectively. China National Machinery Industry International Co Ltd. (Sinomachint) is a wholly-owned subsidiary of China National Machinery Industry Corporation (SINOMACH), a large state-owned group. Sinomachint specializes in areas such as international exhibitions, trade and project contracting. International exhibition is a core business for Sinomachint, which are recognized because of many years of exhibition organizing experience and a professional organization team. Sinomachint held exhibitions that combine internationality and locality in over 30 large and medium-sized Chinese cities. The total exhibition area of exhibitions that Sinomachint independently organizes or jointly do with partners each year exceeds 3 million square meters. For more information, please visit the website at www.sinomachint.com. "China Tire Industry Report 2012-2016”, February 2017. Research and Markets. www.researchandmarkets.com/research/37wbfp/research_report. Retrieved 1 November 2017. “Tires: A Global Strategic Business Report”, June 2016. Global Industry Analytics Inc. www.strategyr.com/Marketresearch/Tires_Market_Trends.asp. Retrieved 21 September 2017.